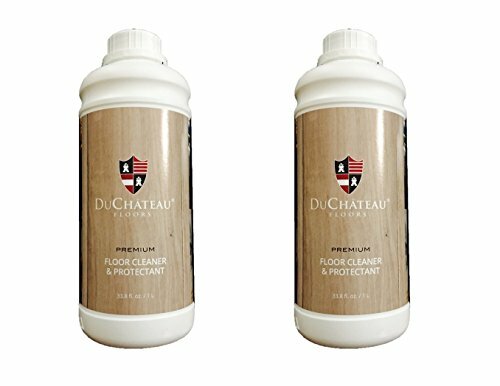 DuChateau Premium Floor Cleaner is an environmentally friendly maintenance product for the regular maintenance of oiled, lacquered and varnished wood floors. By applying the Parquet Cleaner non-diluted to your Hard-Wax Oil floor, you give the floor extra protection. This is particularly recommended in high-traffic areas. Shake well before use. Vacuum or sweep prior to cleaning to ensure the floor is dust free. Apply the Parquet Cleaner, non-diluted, using a cloth or mop. Coverage should be between 200 to 300 sq. ft. per liter. Allow approximately 1 hour to dry. If you have any questions about this product by DuChateau, contact us by completing and submitting the form below. If you are looking for a specif part number, please include it with your message.